Spanish Supreme Court Judge Pablo Llarena on Thursday withdrew European arrest warrants for Catalonia’s fugitive ex-President Carles Puigdemont and five other members of his regional government, leaving them free for now to circulate in Europe but still facing arrest should they return to Spain. In doing so, judge Llarena lambasted last week’s ruling by a lower court in Germany’s Schleswig-Holstein region that Puigdemont could only be extradited from Germany to Spain on a lesser charge of misappropriation of public funds, but not on the more serious charges of rebellion and sedition. 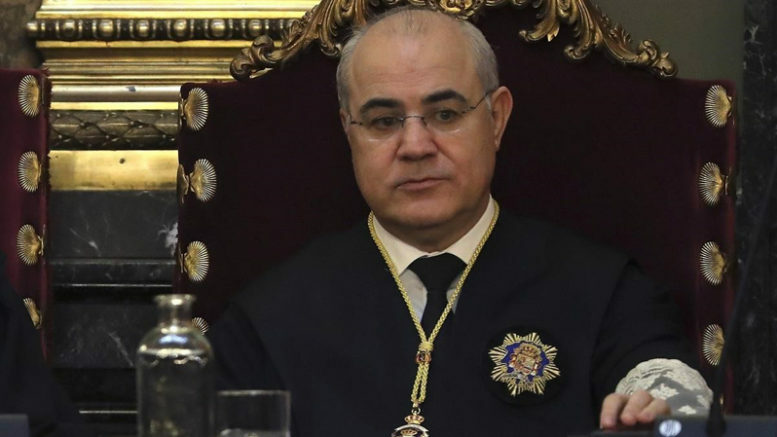 Llarena said that the German regional court judges had exceeded their jurisdiction and undermined the entire framework of the international arrest and extradition treaties among EU countries. The German court ruling placed Spain’s Supreme Court in a conundrum, because acceptance of Puigdemont’s extradition to stand trial in Spain only on the lesser charge of misappropriation of public funds would have undermined the pending case on charges of rebellion and sedition against 14 former Catalan regional government ministers and secessionist leaders. The charges stem from events surrounding Catalonia’s unconstitutional October 2017 independence referendum and the Catalan regional parliament’s subsequent declaration of independence from Spain. Eight of those charged are currently in preventive custody awaiting trial in Spain. The rebellion and sedition charges formulated by Spanish prosecutors and accepted by Llarena refer to “collective” crimes, with former Catalan president Puigdemont identified in court documents as the leader of a larger group involved in a conspiracy to force Catalonia’s independence from Spain. According to legal analysts, to try the “ringleader” of the secessionist drive on the lesser charge would call into question the rebellion and sedition charges against all the others, something the Spanish Supreme Court obviously wishes to avoid. Judge Llarena, in an opinion supported by Spanish prosecutors in the case and many legal analysts, said the German court was required by the European arrest warrant framework to consider only whether or not the crimes for which Puigdemont is being sought by Spain have their equivalent in German law and said it is solely up to the Spanish courts to weigh evidence and decide on the guilt or innocence of the defendants. Instead, the Schleswig-Holstein regional court judges delved into details of the case and decided to throw out the rebellion and sedition charges for what they judged to be insufficient evidence. The decision by Llarena on Thursday does not preclude a re-issuing of the European arrest warrant at a later date for Puigdemont and the other fugitive defendants, which Puigdemont’s own defense lawyers anticipate will occur. For now, the Spanish arrest warrants for the fugitive Catalans on rebellion and sedition charges will remain in place for up to 20 years and should Puigdemont or the others return to Spain they will face immediate arrest.